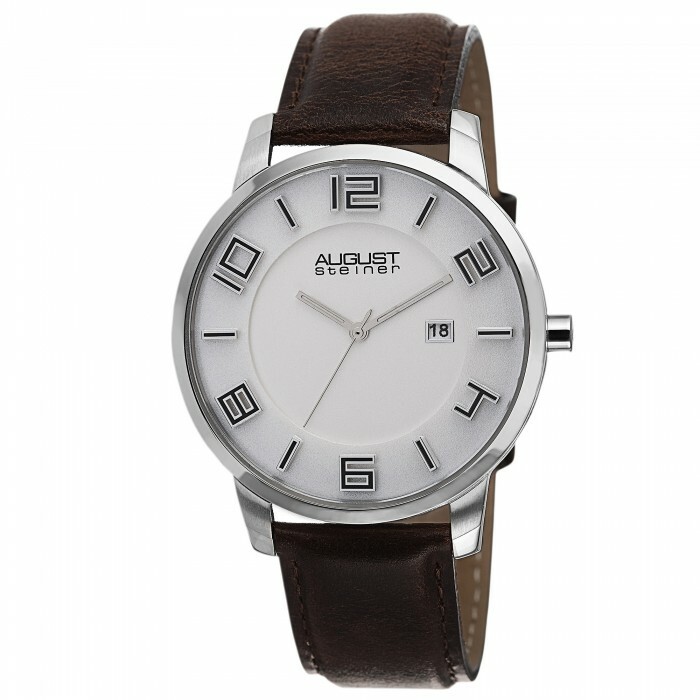 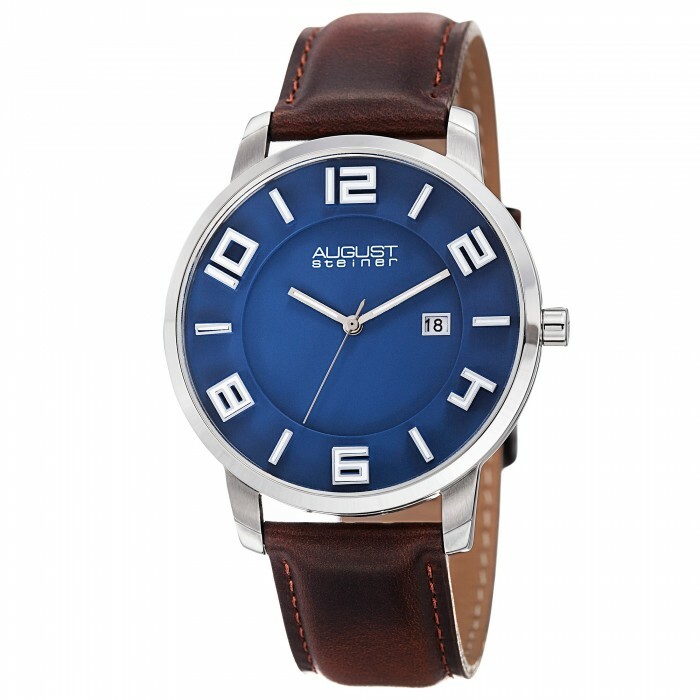 This slim and sporty August Steiner timepiece for men features a bold 42mm case with a polished finish. 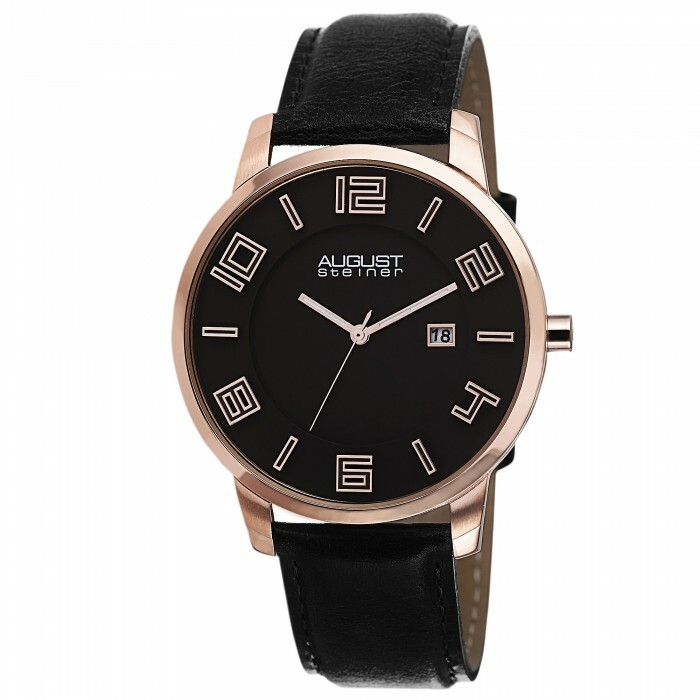 The dial is split into two levels; the outer level houses the Arabic numeral and baton markers, and the inner is home to the hands and date window. This watch is powered by a highly accurate and reliable ISA Swiss quartz movement, and the case is adorned with a smooth genuine leather strap.